The words of legendary UCLA basketball coach John Wooden often echo in the hallways of the Chicago Fire front office, none more than his take on developing excellence over time: "It takes time to create excellence. If it could be done quickly, more people would do it." A journey to create true core values that would stand the test of time took just that - time - and lots of it. A starting point took place during summer of 2017, a year into academy 2.0, when we posed a question to academy staff: "What is important to us?" Fueled by our experiences and our particular areas of interest, we talked about: A holistic approach to working with young players, an adaptable style of futbol, players playing multiple positions, personalized training plans, achieving operational excellence on away trips, and clear and concise communication with players and parents. 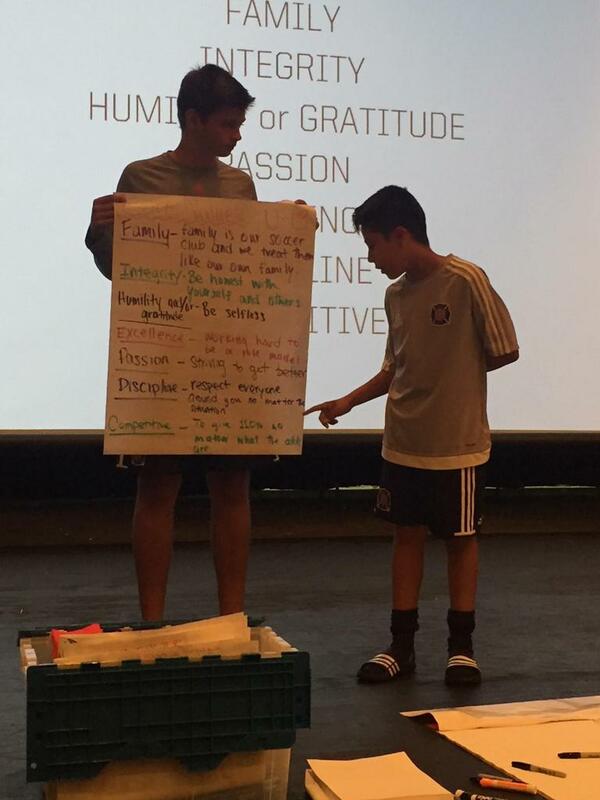 Our discussion soon turned to - as a youth academy at a professional soccer club - WHO ARE WE? and WHAT DO WE DO? We "white-boarded" the activity and collected hundreds of words that best describe what we value before reducing our list to 25, and then to seven. 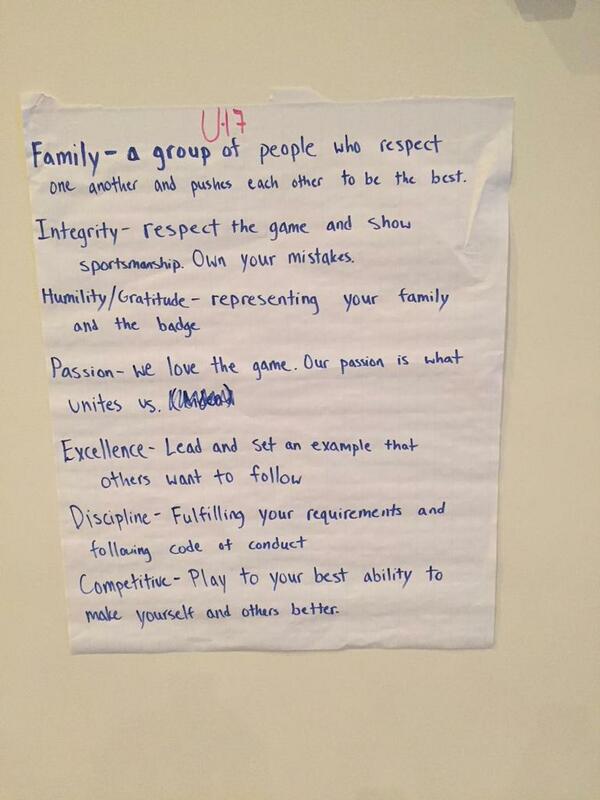 Seven values need to be at the core of everything we do both on and off the field of play: 7 CORE VALUES. 'EXCELLENCE: we always give our best and nothing less. Every time we step onto the field you need to strive for excellence'. 'COMPETITIVENESS: a winning mentality no what situation presents itself and always challenge yourself and your teammates to excel'. 'PASSION- we love the game. Our passion is what unites us'. 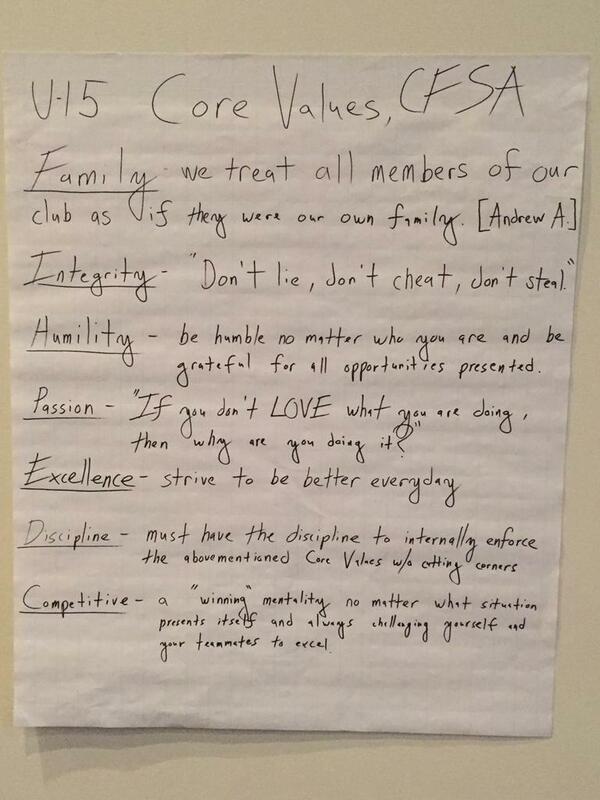 After plenty of healthy dialogue among players and staff, we had now established our academy's seven core values and descriptors for each one. Our next move was key: How do we avoid the trap of our values simply becoming wallpaper on the wall of our office, or words written on a page in a player journal? How can we ensure that our values form a foundation on which we perform and conduct ourselves? In an ever-changing world, how can we make our values constant and practiced every day in everything that we do? People have a natural tendency to buy into a movement or an idea if they feel part of it. 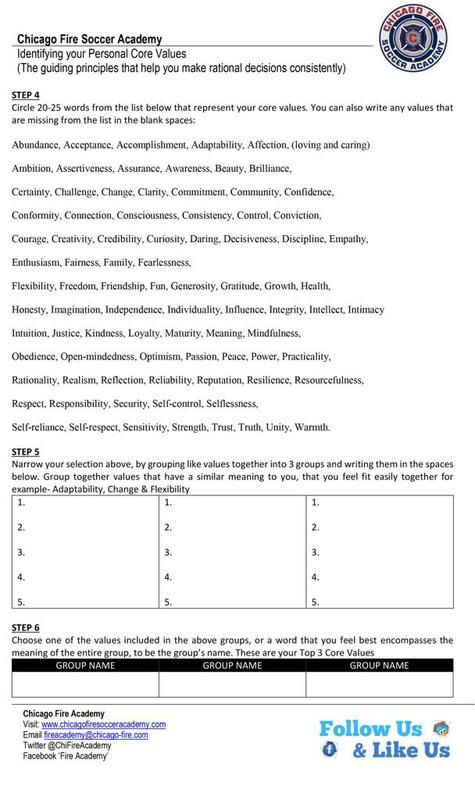 Up until this point, staff had selected the values and players added color by defining its descriptors. We now moved to make sure our values actually "stick" by moving back into the classroom. 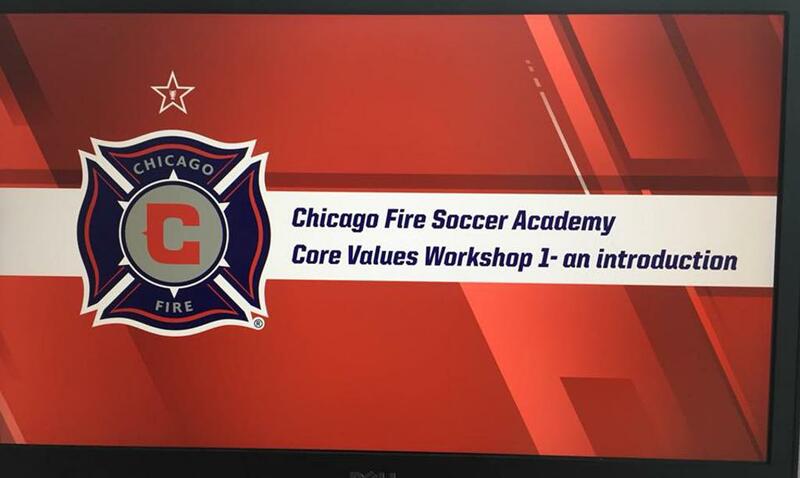 Core Values Workshop - An introduction: The primary purpose of the lesson was to create an environment in which players could discover their own personal core values while understanding the meaning of the wider Chicago Fire Soccer Academy organizational value system. During the lesson, players participated in an exercise that allowed them to self-reflect and determine their own internal governing principles that could support them in making rational decisions consistently. 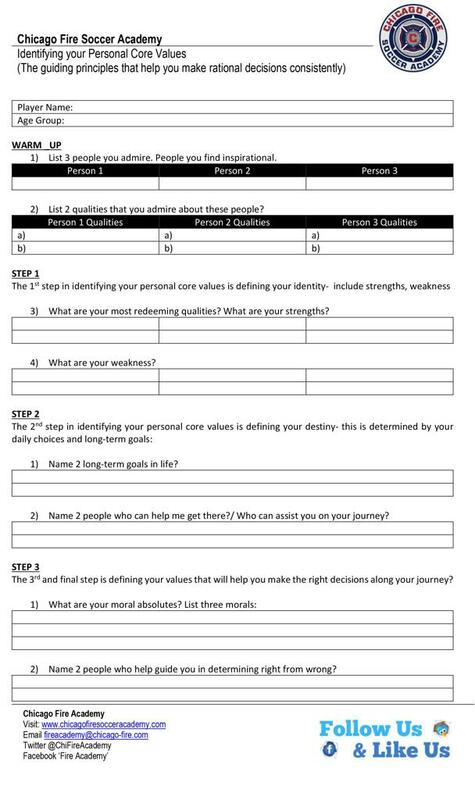 The four-step process included players exploring their own identity (strengths, weakness, preferences), establishing a destiny (desired destinations, long term ambition), identifying values (three core values in total) and entering a discussion on utilizing these values to enhance traits such as leadership, decision making and self-confidence. 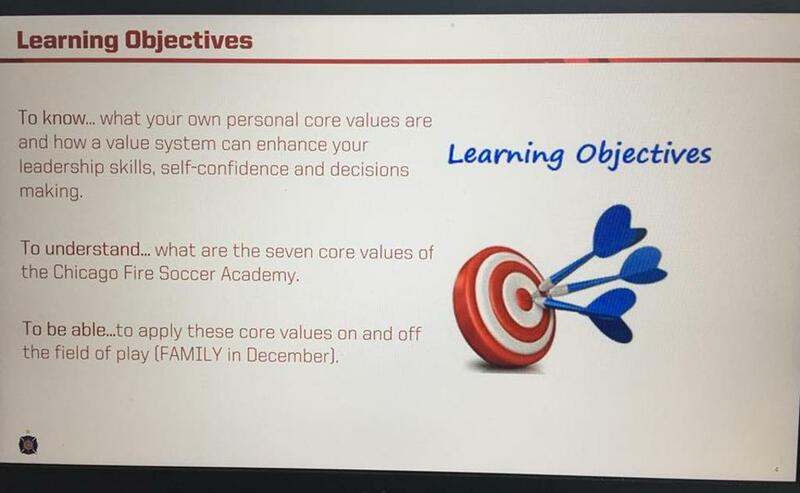 To know… what your own personal core values are and how a value system can enhance your leadership skills & decision making. 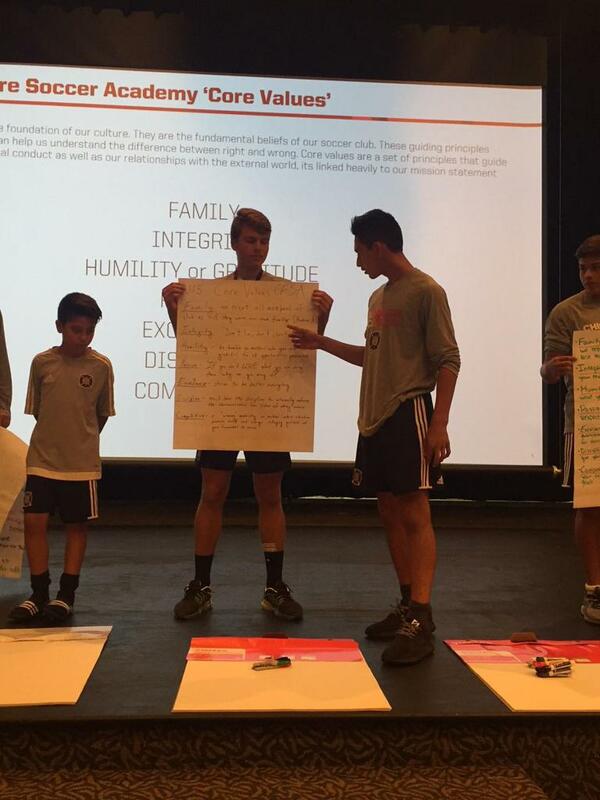 To understand… what are the seven core values of the Chicago Fire Soccer Academy. 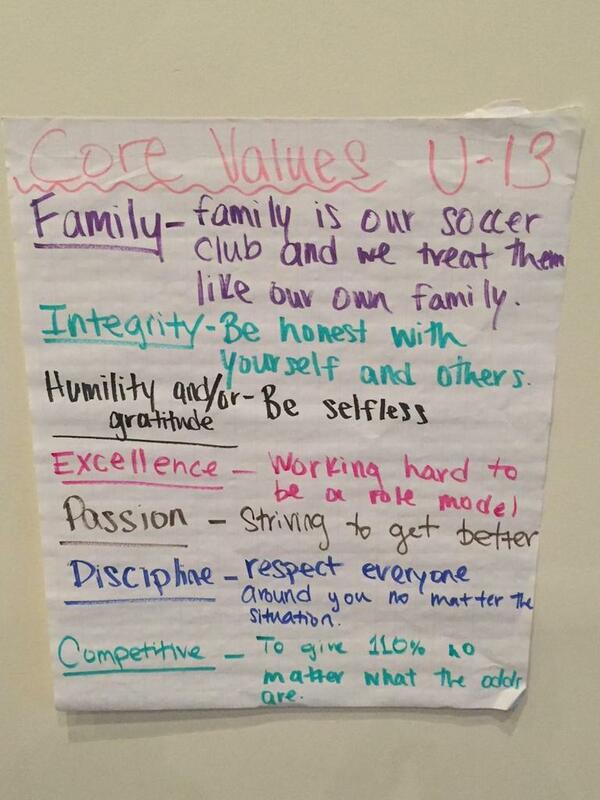 To be able…to apply these core values on and off the field of play. -List 3 people you admire. People you find inspirational. -List 2 qualities that you admire about these people? -Name 2 long term goals & 2 people who can help get you there? -What are you moral absolutes. List three morals. -Name 2 people who help guide you to determine right & wrong. Content was then inserted into 7 x 45 second video clips so player can access and hear from the pro's. 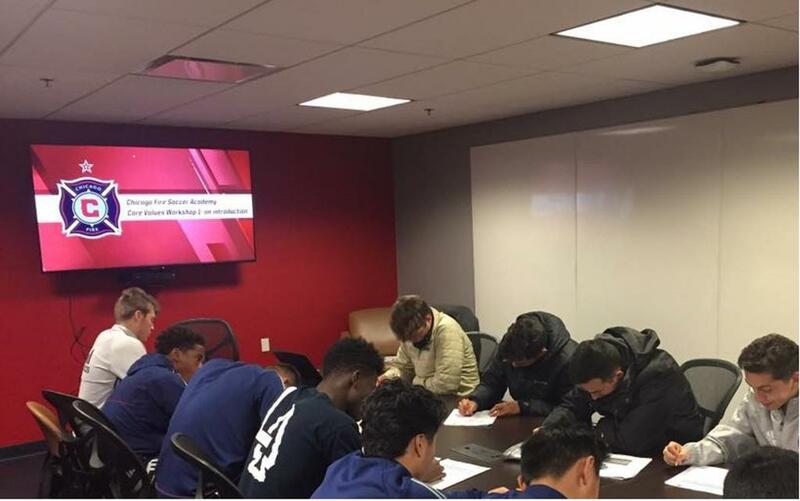 The club formed a partnership with mental skill experts Pro-Performance to take the lead on the "Chicago Fire Mental Training & Character Development Training". The company committed to write three years of educational content with Year One focusing on the seven club core values. Academy Players will take the lesson in their own time on their mobile device, tablet or laptop periodically. 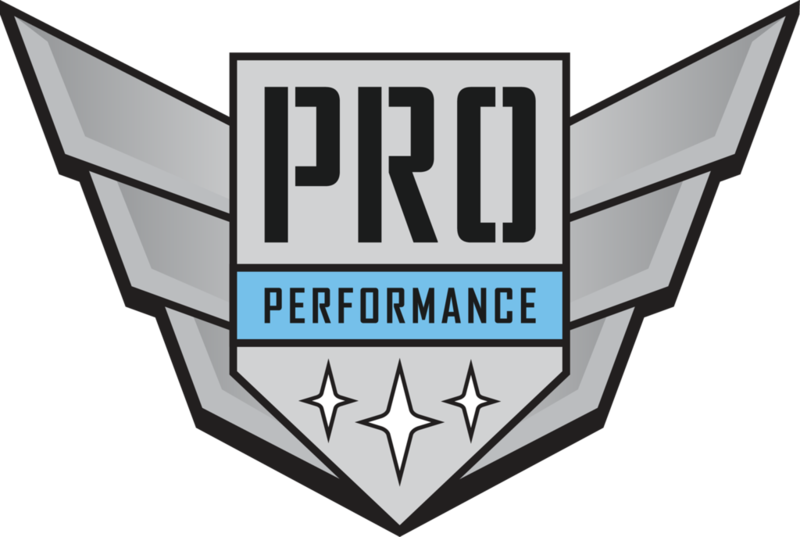 Each lesson takes approximately 15 mins with players reviewing video content and text before completing a brief assignment before being submitted to coach. Coaches take part in an activator titled- what do i stand for? Recently, the club hosted a 'Coach Development Day' that included 57 coaches from our Fire Juniors clubs in Chicago, S. Illinois, Indiana and Michigan as well Chicago Fire SITC staff. 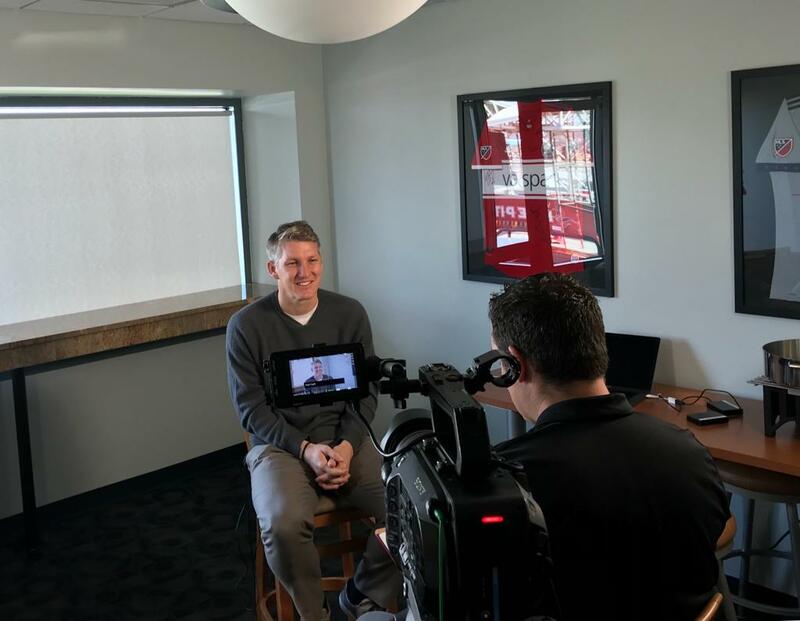 A full day of sessions included an opening address from the Chicago Fire's President & GM Nelson Rodriguez which focused on addressing the progress the Fire organization has made on and off the field. 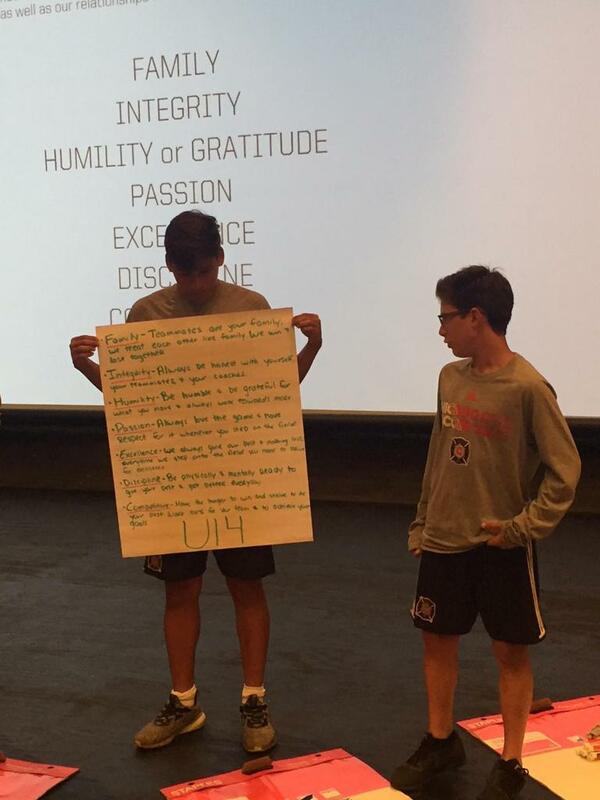 Following on from Nelson, the Chicago Fire Academy's PASS Director Brian Roberts delivered a workshop on the Fire's Core Values and how to engage players in the process of understanding and integrating our core values into their everyday lives. The PASS program is a new initiative that has provided the academy players with a holistic learning experience and will now be embedded into our Fire Juniors clubs. 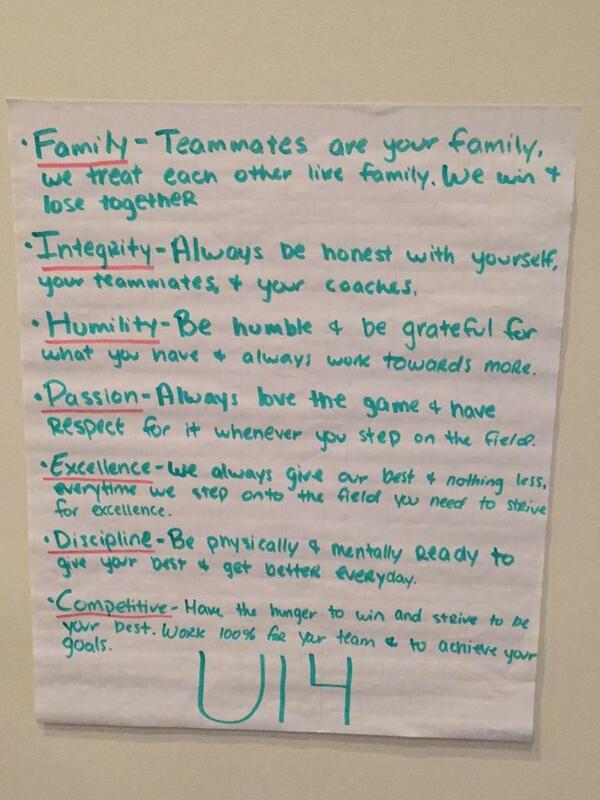 Each month a core value is introduced to players during practice, games and team meetings. Both coaching staff and support staff use practice and game environments to link our club core values to real soccer scenarios. 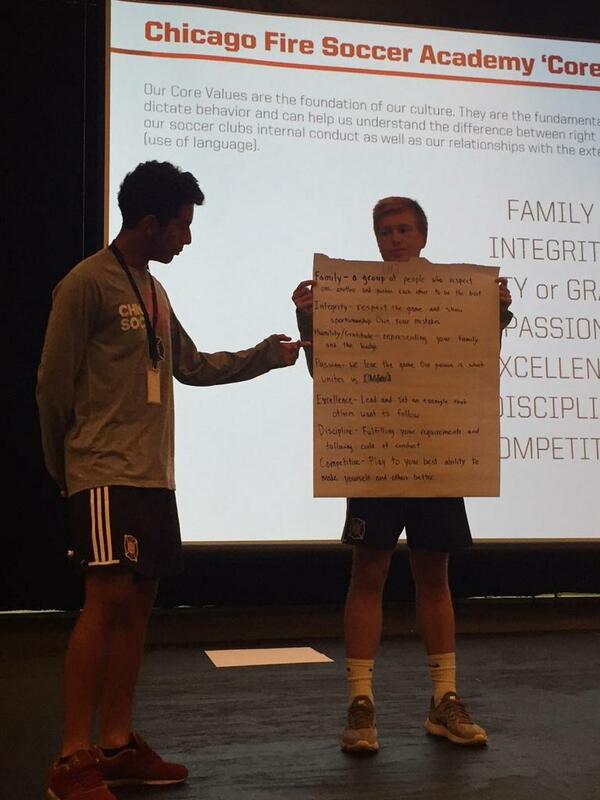 For example, during the month the core value of PASSION (our love for the game unites us and connects us with those who want to share it with us) was introduced to players and they were asked to complete an "I wish my coach knew....' assignment to outline other activities players were passion about outside the sport of soccer. Coaches reviewed the answers and helped players facilitate their passion for these activities.